3:24 p.m., Sept. 17, 2014--The University of Delaware College of Agriculture and Natural Resources will hold a memorial service for Mark J. Manno, a long-time leader in the Cooperative Extension Service, at 1 p.m., Monday, Oct. 20, in Clayton Hall on the University's Laird Campus. Friends and family may begin visiting at 11 a.m.
Mr. Manno, who was state 4-H program leader, died suddenly on Saturday, Sept. 13. He was 64. "Mark was a blessing to UD Extension and to many of us personally," said Michelle S. Rodgers, associate dean for Extension and outreach in the college and director of UD Cooperative Extension. "I am grateful that the 4-H staff celebrated with him this past week as he prepared for retirement. Please lift up Sandy and the Manno family in your thoughts and prayers." Mr. Manno began his career with the 4-H Youth Development Organization in 1974, working as an extension agent in Virginia, Maryland and finally Delaware. He most recently served as program leader for the entire state of Delaware. His dedication to 4-H was more than a career obligation; it was a way of life. He had an impact on the lives of thousands of children who participated in 4-H programs over the years. In 2008, Mr. Manno was awarded the Ratledge Family Award for Delaware Public Service by the University of Delaware. The award recognizes significant public service by the members of the UD community that contributes to the overall well-being of all Delawareans. Mr. Manno frequently said that his greatest career satisfaction came from the former 4-H’ers who would thank him for the impact that he had on their lives. 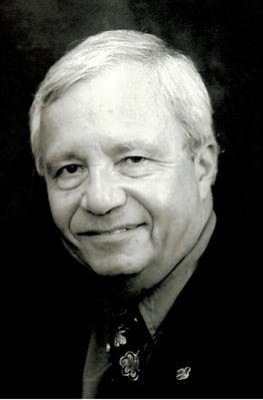 Born in Wilmington, Delaware, Mr. Manno was a 1967 graduate of Salesianum High School and was enlisted in the U.S. Army National Guard from 1971-1972. He received his bachelor's degree in animal science and agricultural education from UD in 1971, his master's degree in dairy science from Virginia Tech in 1974; and his M.P.A. degree in personnel from UD in 1988. His work with 4-H afforded him the opportunity to travel to each state in the continental U.S., and he took several trips to Europe. He enjoyed gardening and stamp collecting and was an avid fan of UD sports, especially football and basketball – both the men’s and women’s teams. Mr. Manno was involved in the Knights of Columbus and was a devout parishioner at St. Johns-Holy Angels Church. His dedication to 4-H was exceeded only by his dedication to his family, as a devoted husband, loving father and adoring grandfather. He is survived by his wife of 42 years, Sandy (Smith); his daughter, Nikki Szymurski and her husband, Jared; his sons, Tony and Mark, and Mark’s wife, Kim; his grandchildren, Mason and Everly; his brother, Fran Manno Jr. and his wife, Helen; his sister, Joan Haizlip and her husband, Chris; and several nieces and nephews. Family and friends are invited to visit from 5-8 p.m., Friday, Sept. 19, at the Doherty Funeral Home, 3200 Limestone Road, Pike Creek. A Mass of Christian Burial will be celebrated at 10 a.m., Saturday, Sept. 20, 2014 at Holy Angels Church, 82 Possum Park Road, Newark. Burial will follow at All Saints Cemetery. In lieu of flowers, the family suggests contributions be made to the Delaware 4-H Foundation, 113 Townsend Hall, Newark, DE 19716.